The current version of the Standard Model of particle physics is based on only a few elementary particles: six quarks and six leptons, the gauge fields responsible for the interactions, and the still sought-after Higgs boson. The fundamental interactions relevant for particle physics are the electromagnetic, strong, and weak interactions. 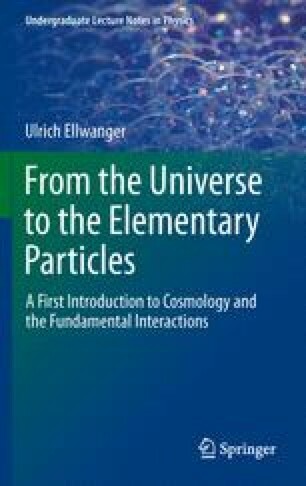 This chapter summarizes the properties of the elementary particles, the aspects shared by the fundamental interactions and where they differ, and the open questions left unanswered by the Standard Model.